Papastratos is the largest Tobacco products company in Greece, the affiliate of Philip Morris International Inc (PMI). With a history of 85 years in the Greek market, the company continues to be actively present, while making every effort in order to have a positive footprint in the Greek economy and society. 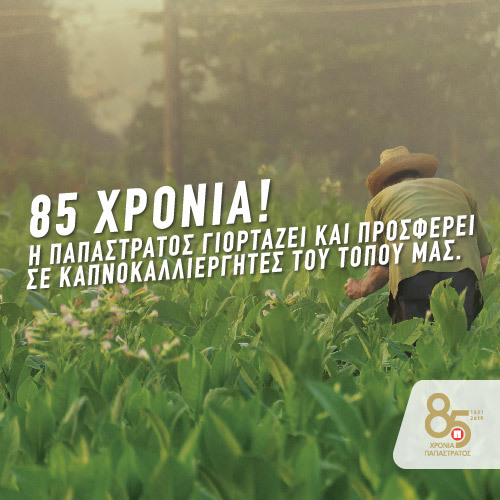 Celebrating the 85 years in Greek Market, Papastratos has launched a new Corporate Social Responsibility program. The large amount collected is donated to support tobacco producing areas of Northern Greece through projects and actions that will be recommended by the local authorities of these regions. Converge SA developed the one page website that utilizes clean sections and simple font, which masterfully keeps you scrolling and learning more about the aforementioned Corporate Social Responsibility action.